Hi all, I'm back. I missed posting and talking to everyone. I'm not back to full power yet (and don't know if I can get there), but I'm going to see what I can do. Over the years working with Hero Machine, I have noticed that some people need help getting a character just the way they want them. I have helped with giving recipes (I may get back to them here in the future) and trying my hand at doing the design and showing what I have come up with. Most of you know that I mainly do the plain Jane characters, not all the Zypping and extra shading, I like the way the characters look just the way they come out of the machine. I'm not saying the other ones are not good, because they are great, it's just not my cup of tea. So to get to the topic at hand, "Character Design Help", here is the way this works. Ask for help with any designs you need too. If I can not answer the question, I am sure one of the other creators can put their two cents in and we can help you work things out. You can post a sample picture of the design you want to make and I will give it a try to see what I can come up with. Other creators are welcome to show what they come up with too. Remember this is a "help" post, if you want to share your characters you are welcome to post them in the forum, we would all love to see the work you do posted there. It really is a great place to share your art, or just to talk to other creators, it is a friendly place for all ages to visit and enjoy. Always keep in mind that we can not do copyrighted characters here, I know that there are designs and styles of characters that you would love to have your character look like, but we need to play it safe. This being said, ask for help with making the design and not for making the character. Try to keep your help request to one a week for now, until I am able to get my legs back under me. I will try to respond as soon as I can, I'm am not as fast as I was before. If your request is not answered with in the week posted it does not mean that it is not being worked on. I will try to let you know if I am able to help or not. Remember other creators are always welcome to help out. As always, please forgive me for spelling and grammar mistakes. Thanks, Hammerknight. I have been using your program for quite some time to digitalize my comic book series, which i am currently in the cover process of, but i notice the alternate female bodies, which i will need to use for the representation of Lust, have no matching items for several poses. Can u add clothes under legs, feet, and tops, that can cover those poses. An example is the one that turns sideways in a seductive pose, as transform does not make the items fit. It has alway been Jeff Position that he will only be making items to fit the main male and female bodies. He offers alternative poses for us since they are often requested however it is up to us to figure out how to cloth them big resizeing, repositioning, and the use of masking etc,. Now if any other the other volunteer artists would like to take a stab at alternate poses clothing I am sure Jeff would not mind however I wouldn’t get my hopes up on getting any. I am sure that HammerKnight or one of the others talented HM artist in this community to provide you with a basic masking tutorial and or an example of how to cloth one of the alternate bodies. Is this strictly a thread for Heromachine design advice? ‘Cause I’m having a little trouble designing armor for one of my hand-drawn characters. 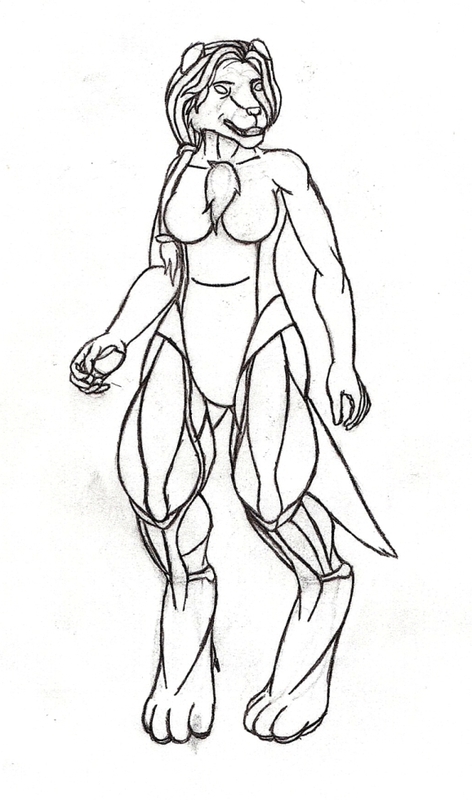 See, I tend to shy away from drawing types of armor if I don’t understand how they work, and this particular character has an armor feature that is entirely fictional: quick, easy access to a marsupial pouch (the character belongs to a race that evolved from marsupials). As such, I want to know how to design armor for her so that she can use her pouch as a utility belt (as per the racial feature of the game I’m designing) while still having functional armor. However, I can’t just go on any armor forum and ask and expect to get a quick answer, since, like I said, it’s an entirely fictional feature of armor. 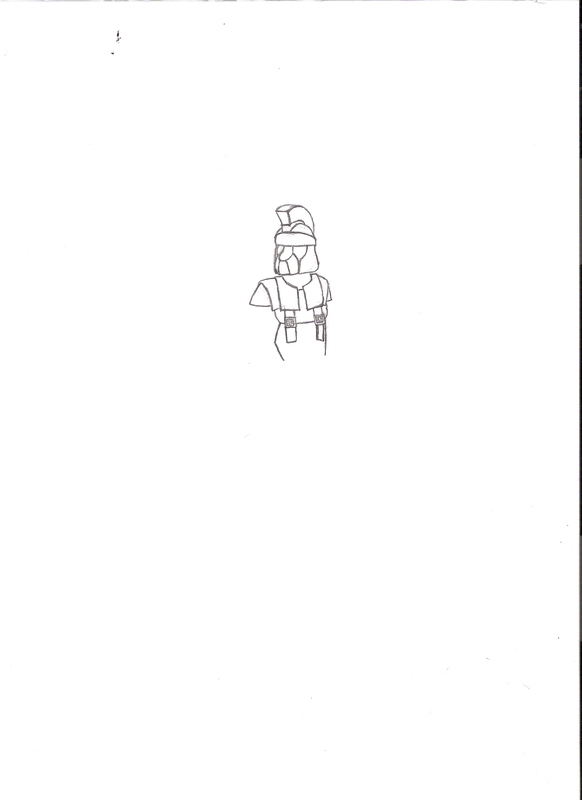 Complicating this even further is the fact that I want the armor to be Romanesque scale armor, like Lorica Squamata. 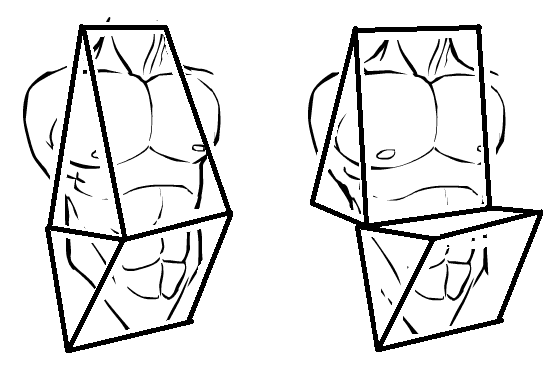 So far, I’ve gotten the suggestion that I should have a segment of armor that can be held in place by some sort of strap and buckle, and which can be unbuckled and folded downward to expose the pouch when it needs to be accessed. Any other ideas? Is this strictly a thread for Heromachine design advice? I’ll welcome other design questions, I have no problem with that. Do you have a sample picture? Hammerknight: I’ll welcome other design questions, I have no problem with that. Do you have a sample picture? I don’t really have a sample picture of anything relevant to the question… So far, I have an anatomical outline, and the beginnings of a sketch for ideas on how the “buckle/fold” feature would look. Here they are, if they help. @Jadebrain: The only other option I thought of, would be some sort of spring loaded “door”, that would open as you pushed back on it. Here is a picture that “better” explains the idea. I added the torso so you could visualize it. On the left it would be closed and on the right, open to access the pouch. 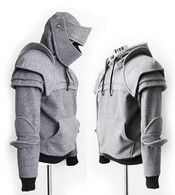 How about armor with slits/holes on the sides the wearer can put their hands in to get underneath. Kinda like the front pouch pocket of a hoodie. This pic kinda illustrates what I’m talking about. If you imagine the cloth being armor and it being in a Romanesque style. headlessgeneral: How about armor with slits/holes on the sides the wearer can put their hands in to get underneath. Kinda like the front pouch pocket of a hoodie. I actually thought of doing that; I posted the idea on the Armour Archive forums, but no one responded to that specific idea. I kind of took that to mean that it wasn’t good for protection, and since I’m far from being an expert on armor, I went with the first suggestion that came from someone else (the buckle/fold thing). Some new fonts and/or insignias. This is not a post to request items for HM. It is to get help for the people that need it for their designs. Jadebrain, one thing that you might think about is how much stuff she plains on putting in her pouch and how far it will stick out. This being said I would design the armor that had pocket like slits in the side for her hands to slid into, these would still be able to deflect all frontal and most side blows to that area. Glad you’re part up & at ’em, HK. I’m in & out less patterned than before, but if anyone needs out-of-the-box thinking, I’m reachable with delays. Of course, if they have a precocious youngling INSIDE it, that would be an interesting feature–the pocket that reloads or hands stuff out by abdominal or thoracic ripple signals. Last, but not least, if there is a postpartum aggression possibility, your berserker will want reinforced rims so as not to tear herself–or himself–there are a few species with males that carry young. Hope you’ve got your needs met. Oh, yeah, add salt beaches to that problem region list. I’m perpetually stuck on creating Apollo and Artemis characters for my New Olympian series and need suggestions to narrow my design focus. First, there is the obvious archer angle, with Artemis being similar to a Quincy on Bleach and Apollo having arrows with multiple properties (light, knowledge, healing, illness–kind of a Lasso of Truth thing). Then there’s the twin angle, with Artemis having some sort of moon-based power and Apollo being a werewolf with sonic powers (as the wolf is one of his symbol animals and he is a god of music). I’ve tried multiple poses but everything I’ve done on these two so far hasn’t looked or felt right so I keep saying I’ll come back to them. And while we’re submitting requests for HeroMachine and we’re not supposed to, a text field for the layer numbers would be helpful so we can click on an item we want something to go behind, get its layer number, and type in the layer of the second item, so we don’t have to layer up/down through fifty or a hundred layers incrementally to get an item where we want it. @headlessgeneral , I guess great minds work alike, I didn’t fully read your post before I suggested the same thing. @BurnedSmackdown, sorry but I have no clue, but there maybe someone else that can give you the answers. @Timedrop23, as for the requested items, I have no powers to grant new items that is why I ask people not to ask me. If I did have the powers, trust me I would be willing to take suggestions. As for your other question, I’ll see what I can do for some poses, I have something in mind. I also think that you might look into the myths and legends of Apollo and Artemis, there are so many great things you can find about them more then just the modern day view of them. Jeff has given me the ability to Moderate everyone’s blog posts, and ever since then I try to moderate any posts as timely as possible, as Job and sleep allow anyway. 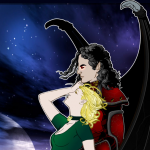 Kaldath: Jeff has given me the ability to Moderate everyone’s blog posts, and ever since then I try to moderate any posts as timely as possible, as Job and sleep allow anyway. I try to get them when I see them, but sometimes it is a little later then others. Nice job clothing the ‘toon bodies. I may use this for my Earth-2/Meridian versions. Perhaps I should have clarified the story a bit. 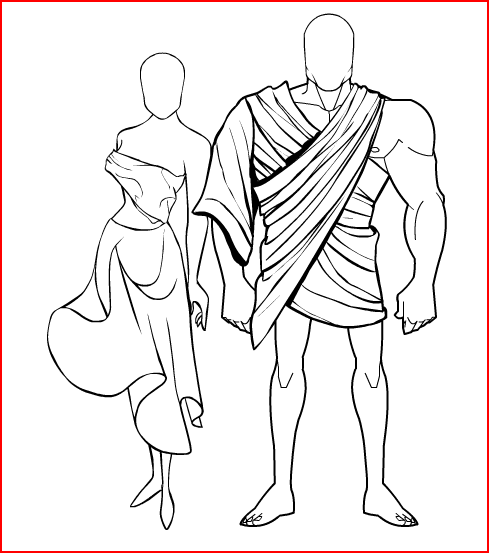 I’m going for the less traditional approach, making the New Olympians mortals (citizens of Olympia, WA, to be exact) who gain powers from being chosen by the Greek gods. In a few cases, their powers manifest physically (Poseidon’s mortal is part fish and can control water, Hephaestus’ mortal is physically deformed and can transmute metals), but in most cases, their powers manifest as energy projections (Zeus’ mortal has lightning hands, Demeter’s mortal has a flaming scythe, Athena’s mortal wears energy armor, Aphrodite’s mortal puts off a pheromone aura). In the Earth-2 reality, the New Olympians’ counterparts will be the Dii Consentes, based on the actual Roman gods, but evil. I also plan on doing a villain team called the New Pantheon (kind of a Brotherhood of Evil Mutants group), led by Hades’ mortal.